Text source: Copyright © Etnopedia. Used with permission. The Badyara people live in the Koundara Region. 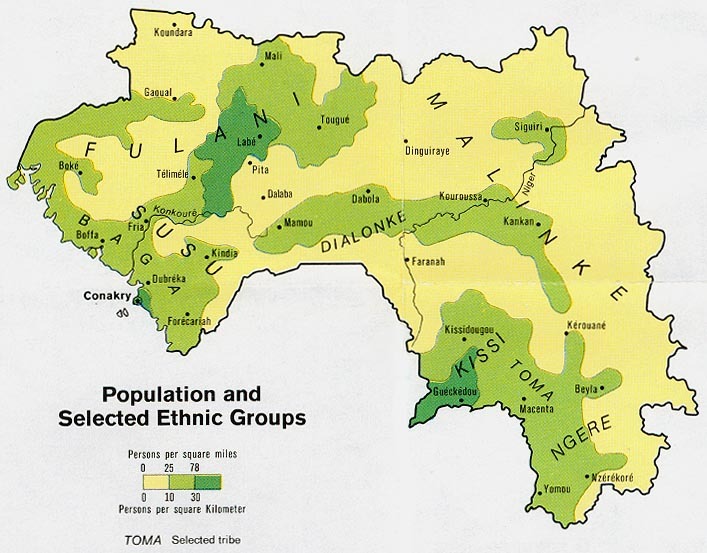 They also live in Senegal and Guinea-Bissau. They earn extra money by extracting honey from beehives and also by producing excellent cotton cloth. Most primarily earn their living as subsistence farmers. Most villages consist of only 100 to 500 people. They are very proud of their unique historical and cultural roots. 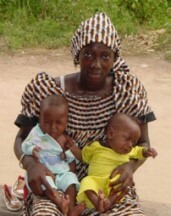 They people fled to Senegal from Guinea approximately 110 years ago due to war in their regions. They still practice female circumcision. Boys are circumcised at 8 years old and are then taken away from the village for about one month, during which time they are taught the ways of the people. This event is followed by a public washing and a huge celebration involving the whole village. This is the only time that the men dance. 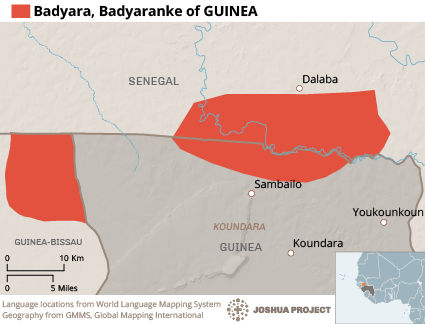 They speak a language called Badyara and are part of the Atlantic people cluster. The Biafada language is somewhat similar to their language. Islam is the predominant religion. In fact, most of the people are Muslims while others practice indigenous religions. Very few are Christian adherents. Seventy percent of the Christian adherents are Roman Catholics while thirty percent belong to alternative types of Christian groups. They believe that the spirits live in the rocks. Each house has a little jar filled with small rocks for protection and appeasement of the spirits. Parents do not allow a young couple to marry if they are suspected of loving each other. They believe that the man will lose his power over the woman if he loves her, or vice versa. The blacksmith used to be the most powerful figure in the village. He would put curses on people, offer sacrifices and receive the best cuts of meat. View Badyara in all countries. Location in Country: Boké region: Koundara prefecture.